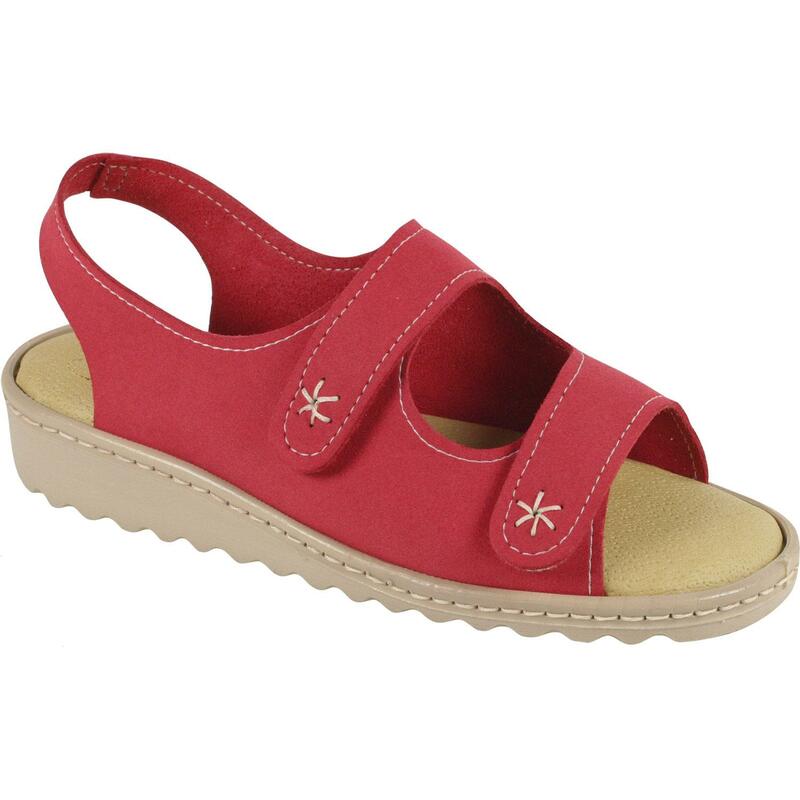 Classic summer sandal with easily adjustable velcro straps. Delicate trim detail adds a touch of class. Super padded insoles to keep you on your toes all day long. Shown in Royal Blue and Spice Suable, also available in all our other colours.